If you think all this stuff is real think again. Let me share the following with you. I am quoting from Barry Kaufman's book Happiness Is A Choice and he is quoting from multiple personality studies conducted by the (American) National Institute for Neurological and Communicative Disorders and Stroke (NINCDS). One woman, who had the capacity to display three distinct personalities, had three menstrual periods each month, one for each personality. A man exhibiting multiple personas required completely different eyeglass prescriptions for each. In the morning he was clinically short-sighted. At noon, after becoming the next person, he needed glasses to compensate for being long-sighted. Each subsequent persona needed a different prescription. Another man whose repertoire included nine distinct personalities, suffered from a server, life threatening allergy to citrus fruits. Any ingestion of citric acid would cause eight of his nine personalities to have convulsions and seizures. His ninth personality, however, loved citrus fruits and would consume enormous quantities of oranges and grapefruits without the slighted discomfort. 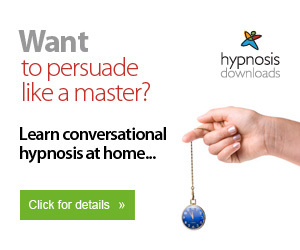 Want to persuade like a master?